Visit Niagara Falls in your own Time and place. 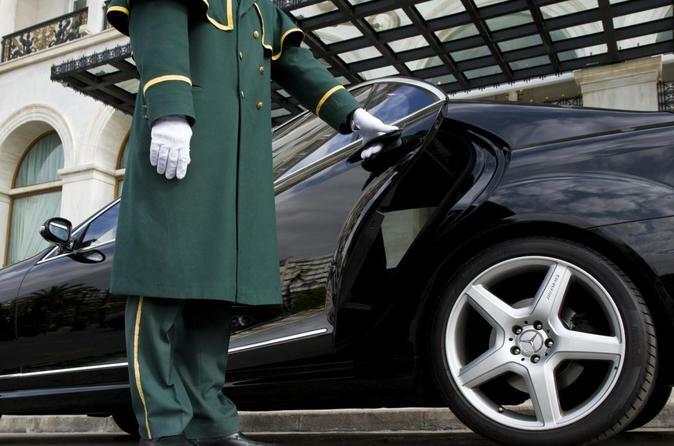 Customize the entire day to your preferences and enjoy a day being chauffeured around with your private Car. and driver. Your guide can customize almost any tour to suit your schedule. You're offered a range of options for groups of 2 passengers and up. The friendly, and knowledgeable staff can discuss custom tour options with you. Whether this is your first time here or you're a regular visitor, your guides can help you create an exclusive sightseeing tour customized just for you. At your hotel or any pickup point in Toronto, board a luxury car and let your professional driver lead your sightseeing tour, providing you with safe and well-mannered service. You and your private group choose to do whatever you please in Niagara Falls -- take a Hornblower cruise, go wine tasting, visit local attractions such as the Skylon Tower, and more. This luxury sightseeing tour from Toronto starts with pickup from your hotel. Drive to Niagara Falls. Visit the Whirlpool Rapids to experience the natural phenomenon of the Niagara River. Choose to enjoy a Hornblower cruise (seasonal), the Journey Behind the Falls experience, or admission to the Skylon Tower. Then enjoy a full Canadian buffet lunch at the Sheraton Fallsview Restaurant, in the Sheraton Hotel Penthouse Level. Savor a tasty meal with a lot to choose from while enjoying the spectacular view of the Canadian Horseshoe Falls and American Falls. This is an awesome photo opportunity! Next take a scenic drive on Niagara Parkway. Winston Churchill famously called this 'The Prettiest Sunday Afternoon Drive in the World.' Visit the Floral Clock, one of the most popular sights in Niagara, between the Botanical Gardens and Queenston Heights Park. This 40-foot-wide (12-meter) working clock is one of the largest in the world. Do some souvenir shopping and make a stopover at Queenston Heights, where you can learn about the famous Battle of Queenston Heights. Queenston Heights Park is the site of a War of 1812 battle in which Sir Isaac Brock was killed. A 150-foot (50-meter) monument, perched above the Niagara Escarpment, was built in his honor. Stop at the 'Smallest Chapel in the World' and explore Niagara-on-the-Lake. You will appreciate the quaint shops and boutiques that line Queen Street, the main drag of Niagara-on-the-Lake, as well as the proximity of wineries, brew pubs and even a chocolate factory. Be treated as a wine connoisseur at a world-class winery, where you'll enjoy a complimentary wine or grape juice tasting. Feel free to purchase any wines of your choice. The famous Ice Wine is available here. You'll be dropped off at your hotel or your choice of location upon return to Toronto.